Saturdays are usually my day for chatting about my family and the issues I’m having in my own research. But it occurs to me that I’ve been remiss in explaining some of the limits on what I’m up to here at The Legal Genealogist. You know, the little things, like making sure I don’t get sued and the furniture isn’t trashed in a brawl. So here are the rules of my road. I have a law degree. But I’m not your lawyer. I’m not even in active practice as a lawyer any more. I’m not licensed in your state, and I’m not giving legal advice online. We don’t have an attorney-client relationship, so anything I say can be held against you. If you get sued because of something I say here, I won’t represent you. I won’t even testify for you. I will, however, be enormously amused. Seriously, this blog is general commentary on lots of things, including general commentary on the law. If you’re looking for more than general commentary on the law, you need to consult a lawyer in your home state. If you think this is more than general commentary on the law, you need to consult a mental health professional. In case you hadn’t noticed, I’m (gasp) human. Which means, at any given time, on any given matter, I could be wrong. If I’m wrong about a fact, I’d like to know it. (I was delighted when Donn Devine told me about early Delaware statutes I hadn’t been aware of.) So tell me when you know more than I do or I’ve just plain goofed. As to everything else, don’t buy what I say uncritically; check the sources I cite and make your own decisions. You may well come to a different conclusion. Bleah. A pox on all your houses. 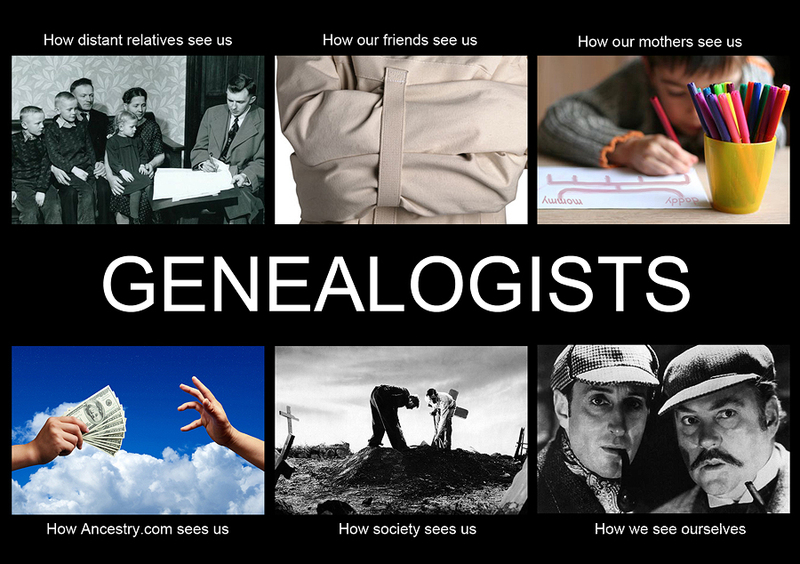 If you haven’t got anything substantive to say about genealogy, it ain’t going live here. And if it sneaks by me at first, it’ll get deleted when I spot it. Thanks for the upbeat and real listing of your rules! Thanks to Jim Owston for the permission to use the image! As for the rules, well, “play nice” pretty much sums it up!